Historical significance: In 1679, Nicholas Holt, (one of original Andover freeholders) specified "for the love he bears his son-in-law, Robert Gray" made him a gift of 5 acres, south of Holt's Hill. 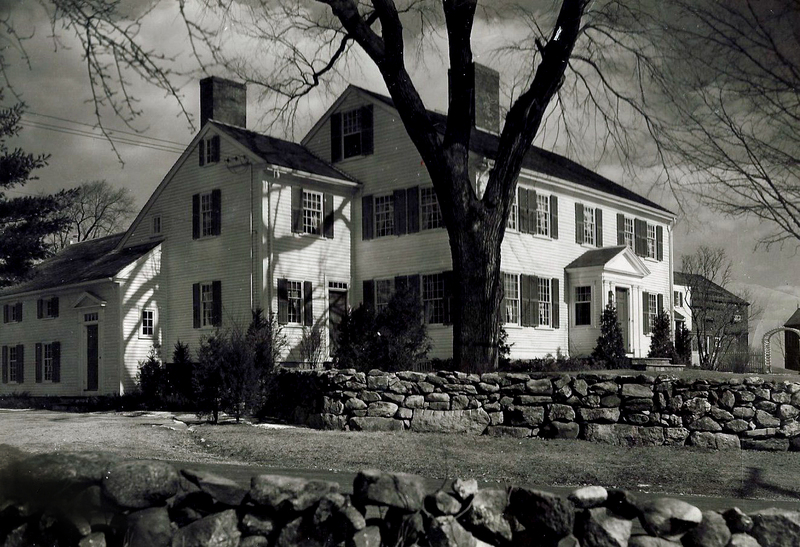 Gray Farm dates from 1699, when Robert Gray, Mariner, bought land from Nicholas Holt and Dudley Bradstreet. According to old deeds, Gray land holdings were extensive, include Gibbet plain, present Harold Parker State Forest, where was once located the place for public execution for Essex and Middlesex County. David Gray II built the present house, but remains of earlier buildings are still extant. Farm was once self-sufficient and included on grounds, a granary, cider mill, blacksmith shop, spinning house, grist mill on Skug River and a mill for grinding scythes. Blacksmith shop across street from house is mentioned in Gray will dated 1737; although constructed of wood, it is in good condition and still contains some early blacksmith tools. 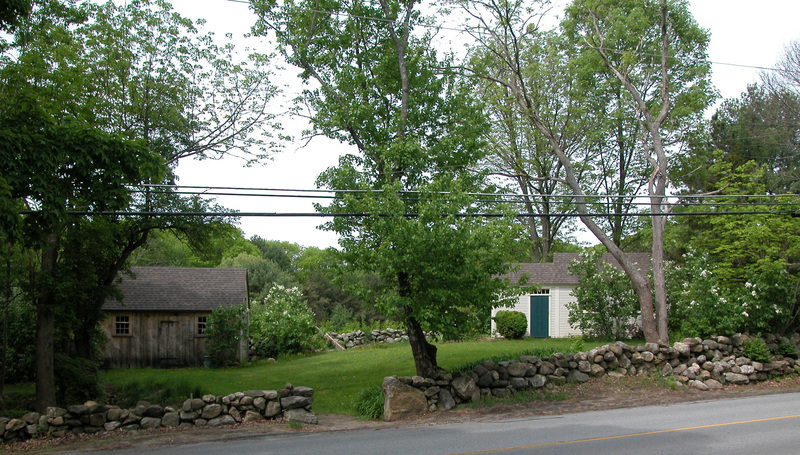 Foundation opposite house is "Old Gray Mill" or grist mill "the old grindstone is down in field with top stone, Miss Alice Gray used to cap her own well" (note: Andover Historical Society files) dated May, 1934. Small house across road from main house was moved and is thought to have been ell of original house (1699). Alice Gray sold this part of 1699 house and it was moved across street as spinning house, with spinning wheels, reels, etc. Altered when moved. Miss Gray also sold some window sashes with leaded glass to be used in Henry Ford's Dearborn, Michigan museum. Door of spinning house thought to be the door of the first Gray house here. Interesting legends/tales connected with Gray homestead; David Gray hanged himself Jan 7, 1767, was refused Christian burial at South Church Cemetery, later reburied there. 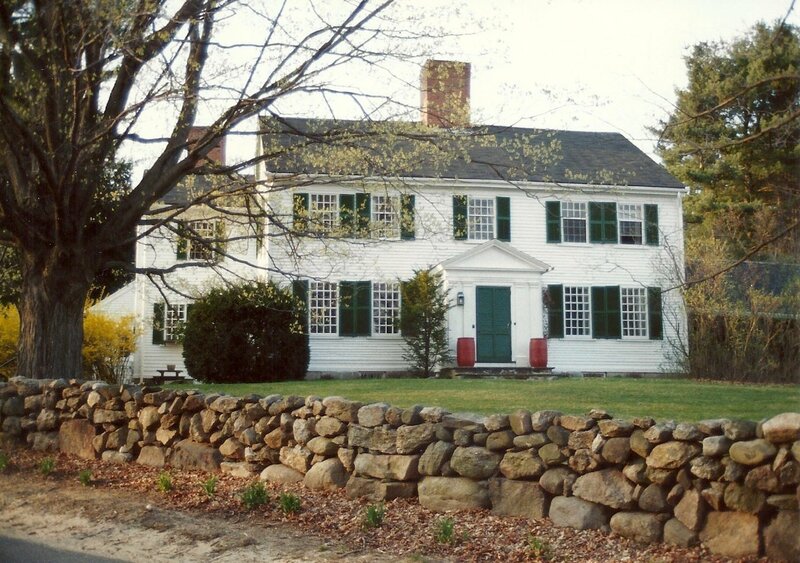 When David Gray II built house now standing, he had lumber hauled by oxen from his wood lot in Wilton, N.H. David II was excommunicated from South Church as a Universalist in 1830. Rev. Arthur Taft restored house after 1932; took out one stairway leaving two; removed Victorian - era porch which had been added by Alice Gray; reduced bedrooms to four to put in two more bathrooms. Door latches in house were most likely made at the blacksmith shop on premises. Abbott, Charlotte, Helen; "Andover Families - Gray"
Taft, Rev. Arthur; "The Gray Farm and its Family" delivered before Andover Historical Society, Jan. 25, 1942.